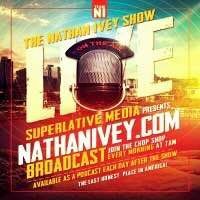 The Nathan Ivey Show is a daily talk show, it is your morning destination for interesting conversation; superlative flows on people, politics and pleasure from the undisputed King of Straight Talk & the King of "Flow". Cincinnatians have enjoyed Nathans unique style, unapologetic delivery and unfiltered opinions for years. Now the world can enjoy, what Queen City talk radio fans have enjoyed for years. With an army of loyal listeners (#teamNI) Nathan breaks down daily events in a ... See More way that no one else can.